Now and again, you’ll want to show your best friend how much you care about them. They’re there for you, even when things aren’t so good. That makes it all the more important to surprise them with a best friend photo collage. Preserve all those moments that you spend together in a friends photo collage. Photos from summer days together with fun activities, unforgettable holidays or simply funny moments are perfect for a friends photo collage. 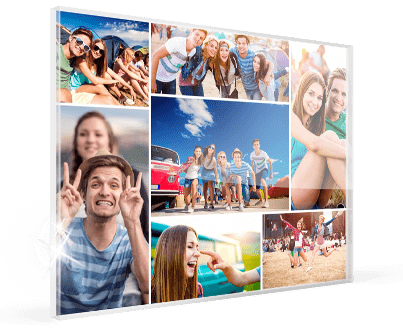 We provide you with 16 free templates. 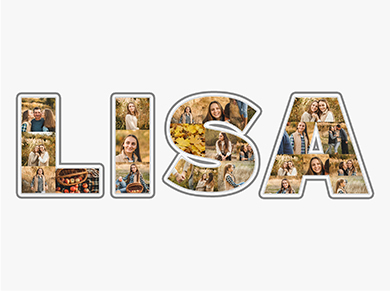 Your BFF will certainly appreciate a best friends photo collage made up of photos of you together. They’ll look at the photos with a smile in one eye and a tear in the other. 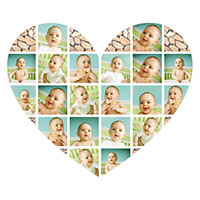 A best friends collage also makes a very trendy wall decoration, e. g. as a collage canvas. A gift that will keep on giving. 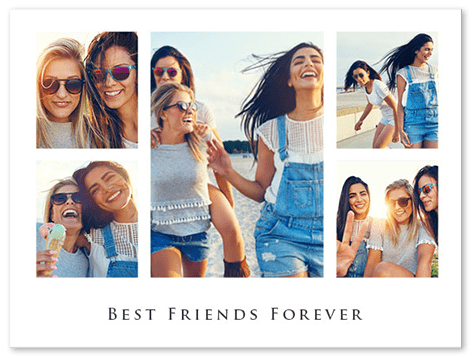 For your best moments together, we have put together templates for your friends photo collage: Choose the “Friends” template in a framed look or designs such as “Together” to create your own individual friends photo collage. Tip: We offer 25 free templates on the theme of friendship. But maybe you simply want to cheer a friend up. Lots of great memories compiled into one friends photo collage makes this possible. 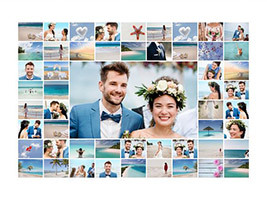 Sweet and fun templates put together with your most wonderful moments into one beautiful friends photo collage are sure to brighten up someone’s day. 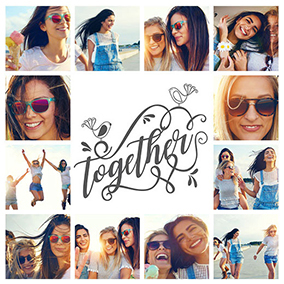 You’ll find attractive templates for your best friends collage, such as “FRIENDS”, “Together” or “Best Friends” in our collage maker tool. 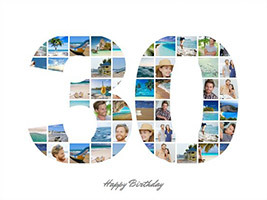 But the friends photo collage is also the ideal gift for special anniversaries or occasions. A story made up of childhood photos, the first holiday without parents, and growing up together. 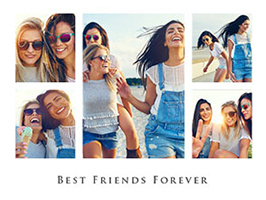 Those moments in life: simply BFF – best friends forever!